The 2016 election of Donald Trump to the U.S. presidency was a devastating blow to marginalised people around the country - immigrants, Muslims, the LGBTQ community, and black Americans. Intersecting with every one of those groups were women, who despaired over the halt in progress of their rights as equal citizens. Adding insult to injury, women had to watch one of the most qualified candidates in history, Hillary Clinton, lose to an inexperienced reality TV star who bragged about sexually assaulting women. Has the country become more misogynist, or simply shown its true face? When 53 percent of white women voted for Trump and 94 percent of black women voted for Hillary, can we even speak about women as a cohesive group? In the face of these challenges, how can we work together to persist, resist, and enact lasting change? 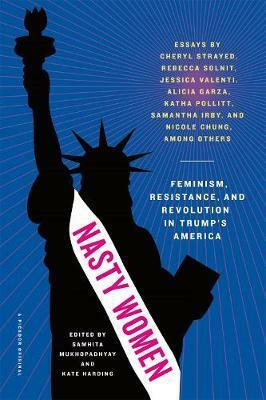 Contributors include Cheryl Strayed, Rebecca Solnit, Jessica Valenti, Katha Pollitt, Samantha Irby, and Nicole Chung, among others.